I have written many checks before, but I never dreamed I would be writing a check to pay for my daughter’s burial plot! I could barely see through my tears to sign it. A few days after Becca’s funeral, it was time to go back to work. It was surreal as I was back in my normal surroundings and the world continued as it always had. Sure, a few people stopped in and gave me their condolences, but for the most part it was like nothing ever happened. I was still coming in and out of this fog. How do I go back to the day-to-day and act like nothing has changed? I believe most of us men tend to compartmentalize everything in our minds, almost as if everything in life has its own little box and we only take out one box at time. For the most part, I was able to take out my work box and stay there, but grief had just shattered my “Becca box” into a million pieces. 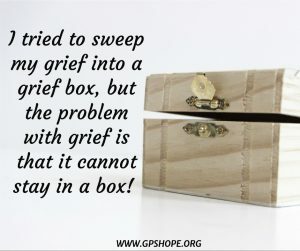 I tried to sweep my grief into a grief box, but the problem with grief is that it cannot stay in a box! Somehow those shattered pieces find a way into all the other boxes. These pieces tend to appear out of nowhere and not always at convenient times. It was not easy, and at times I would close my door and allow myself to tear up and grieve some more. So if you’re reading this and you’re a father who has lost a child and you tend to compartmentalize, I encourage you to allow yourself those moments to grieve. 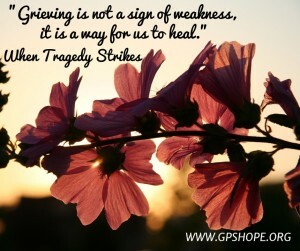 Grieving is not a sign of weakness, it is a way for us to heal. Even within my own deep painful loss, as a husband and father, I quickly learned how vitally important it was for me to make allowances for my family members, especially my wife, in the way they processed their grief. 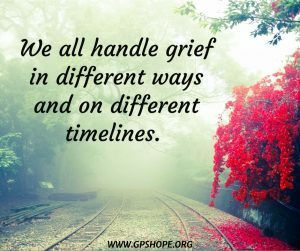 We all handle grief in different ways and on different timelines. My other four children all grieved in different ways and some longer than others. They all still have times when they miss Becca immensely. I encourage all of them to allow each other the space they need to grieve in their own way and not expect the others to grieve in the same way they themselves do. This is especially true for us husbands in regard to our wives. If you are like me, as I suspect many men are, I didn’t always want to talk about it. I preferred to keep my feelings to myself, except with a few close people. My wife, on the other hand, seemed to wear her grief on her sleeve. Laura would post all sorts of feelings on Facebook. I would every so often, but nothing like she did those first couple of years. (So much so that I knew it made some people uncomfortable, even though she always pointed to God as her source of strength.) I would sometimes think is this normal or is my wife having some major issues here? Laura has the closest relationship to God of anyone I know. She amazes me with her insight, yet here she was struggling, even though she knew without a doubt where Becca was and the glory she was experiencing. Was it normal for this to be so hard and go on so long? Truth is, absolutely! Pretty much everything is “normal” when it comes to grieving the death of our child, it seems. At one point it occurred to me that often people, myself included, criticize those who post too many feelings on Facebook. I wonder, though, what we would think of King David’s posts if he were one of our “friends.” The Psalms look quite a bit like some Facebook postings, and they are plastered with his feelings! If you are a father who has faced the death of your child, and you are frustrated that your wife is still deeply struggling, let me be very real with you here. In most cases, it will take our wives months or years to “get on with life” the way we imagine they should. It isn’t our place to determine what that looks like; ours is to simply love, care for, and protect her during this time, however long it may be. All holidays bring some difficulty as we celebrate Christmas, New Year’s, and family birthdays including hers. My first Father’s Day after Becca died was especially difficult for me. Becca was the child who made me a daddy when I adopted her at the age of two. I vividly remember her bringing me donuts for breakfast in bed for my first Father’s Day. Now, this day was my first one without her. I had four other children whom I loved dearly and spent the day with, but I needed to spend time at her graveside that day as well. It was probably the longest time I ever stayed out there. Just reminiscing, crying tears of pain that she wasn’t with us anymore, tears of joy for all the funny memories. I needed to allow myself that time of grief. More people are starting to acknowledge the loss of a child on Mother’s Day. 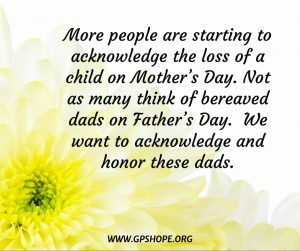 Not as many think of bereaved dads on Father’s Day. I want to recognize how difficult this day can be for you. It is probably one of the most difficult of all “dates” for me regarding the loss of my daughter, Becca. One thing I do on Father’s Day is to ask God to tell her how much I love and miss her and to give her a big hug and kiss from me. I have no doubt He does that for me and will for you, too. I honor you this Father’s Day and pray that you will feel the love of our Heavenly Father’s arms around you. 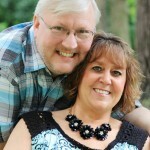 Laura and I want you to know you have our hearts and our prayers. This article was taken from Dave’s chapter in the book When Tragedy Strikes: Rebuilding Your Life With Hope and Healing After the Death of Your Child. If you would like a PDF of the complete chapter, please submit your information below. 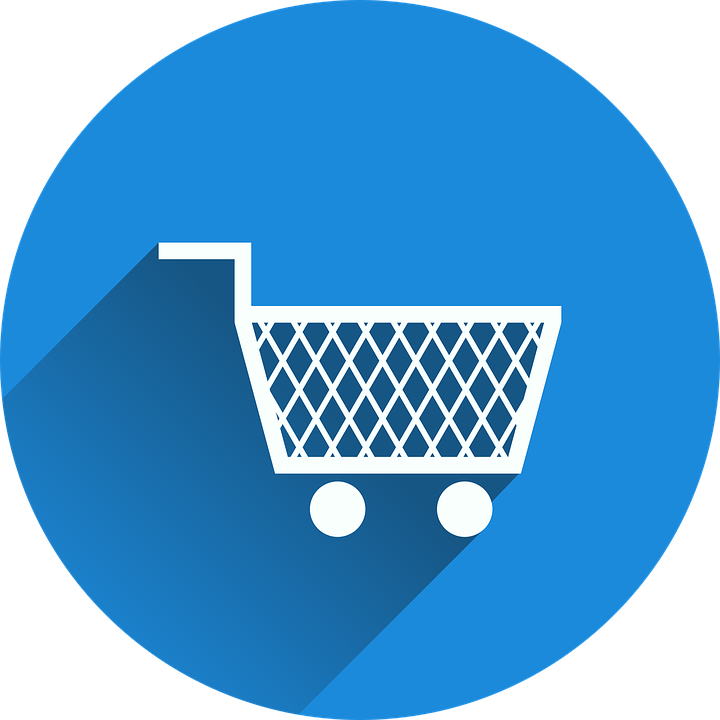 You and your email address are safe with us and will not be given out to anyone. Dave Diehl is the cofounder and technical administrator of GPS Hope. His wife, Laura, is an author as well as a national keynote speaker and also a workshop speaker for both The Compassionate Friends and Bereaved Parents USA national conferences. Laura has also been a guest on Open to Hope several times, and has hosted her own conferences, a virtual conference and many webinars. If you would like more information about Laura as a speaker for your next event, click here.